You know the deal by now. 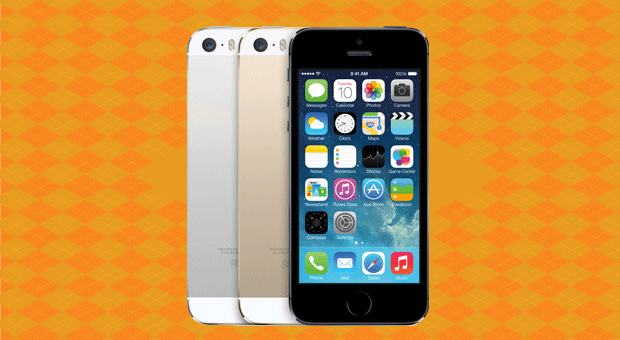 Apple's flagship iPhone 5s is the best iPhone ever made, thanks to improvements both inside and outside. Though it remains dwarfed by many rival phones, it benefits from Touch ID, an easy-to-use fingerprint scanner built right into the home button. Then there's the future-proof A7 chip, which offers fast 64-bit performance. Add in iOS 7, with its stark new design, and you've got a seventh-generation iPhone that still manages to look and feel new. Bottom line: The best iPhone yet, and one of the best smartphones available. However, if you already own an iPhone 5, you're probably better off waiting for the 6, as nothing here really justifies the early upgrade fee. Key specs: 4-inch (1,136 x 640) IPS Retina display, Touch ID, A7 chip with M7 motion coprocessor, 8MP rear/1.2MP front cameras, 16GB/32GB/64GB non-expandable storage, iOS 7. 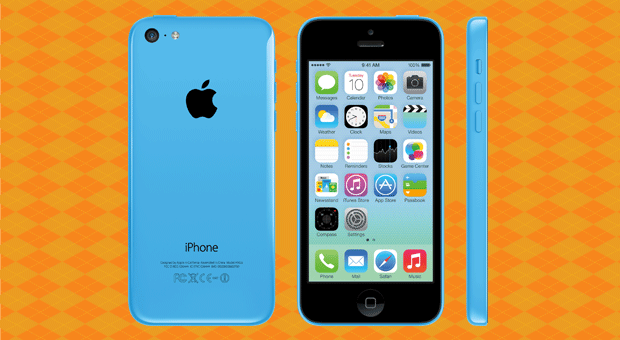 Apple's middle child is the iPhone 5c, which is basically last year's iPhone 5 with a plastic shell. That switch means you'll now be able to buy the phone in a variety of bright, Lumia-esque colors, but in every other respect, it's the same phone that came out last year. So, you'll sacrifice the headline-grabbing features you'd otherwise get with the 5s, but if your wallet won't stretch the extra $100 to get the higher-end model, this is a fine choice. 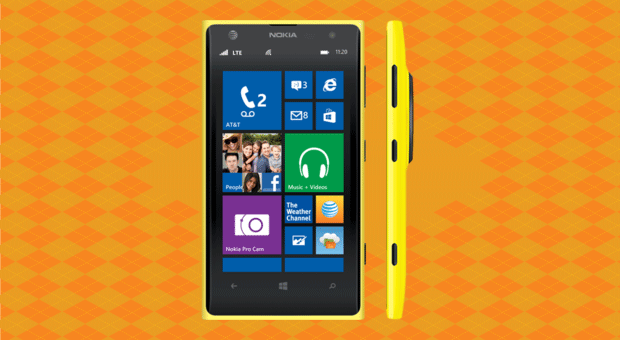 Bottom line: For $100 less than the iPhone 5s, it's last year's best phone in a choice of fun colors. Key specs: 4-inch (1,136 x 640) IPS Retina display, 1.3GHz dual-core A6, 8MP rear/1.2MP front cameras, 16GB/32GB non-expandable storage, iOS 7. It's a testament to the iPhone 4s that Apple can still sell it as an entry-level device more than two years after it first went on sale. Of course, it's missing a few key specs that early adopters will be lusting after -- namely, it rocks a smaller 3.5-inch display, and makes do with a slower chip and 3G-only data. That said, it still has a fantastic camera and that 3.5-inch display is at least Retina-quality. 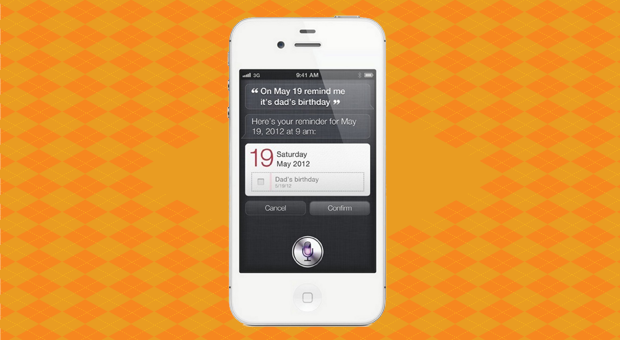 More importantly, the phone will still run iOS 7, so you won't feel too behind your friends on more modern hardware. Of course, you're not eligible for every new iOS feature, and there's no guarantee your handset will be supported in a year's time. Still, for a free-on-contract offering, it's tremendously compelling. Bottom line: A 2-year-old phone that can still shame current-gen budget models, and a steal if you can get it for free. Speed freaks and LTE fans won't be interested, but it's miles ahead of other budget devices. Key specs: 3.5-inch (960 x 640) IPS Retina display, 1GHz A5, 8MP rear/VGA front cameras, 8GB non-expandable storage, iOS 7. If we're to believe HTC's balance sheets, the company is feeling the heat right now. And that might just be what's causing the business to produce some of its finest work. 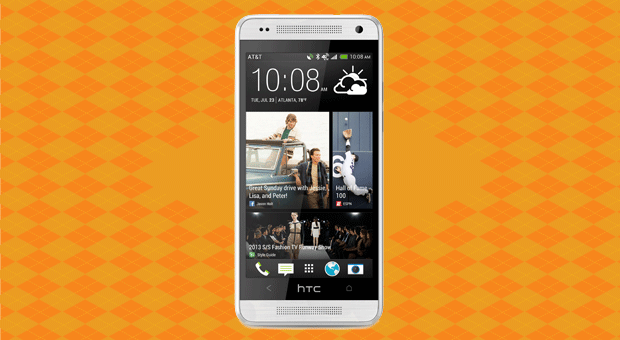 The HTC One, you see, can stake a reasonable claim to being the best Android smartphone currently available. First, there's the jaw-dropping unibody aluminum design. Second, the impressively powerful BoomSound speakers and convenient IR blaster. Then there's the quick performance and general polish of both the hardware and software. Not to mention, the amazing low-light shooting from the UltraPixel camera. In fact, there are so many reasons to buy this device, we'll just point you down toward the spec sheet and let you find your way from there. Bottom line: Good hardware, good software and some innovative little touches put the HTC One ahead of the Android pack, even though it's now six months older than many of the other phones on this list. Key specs: 4.7-inch 1080p (1,920 x 1,080) S-LCD 3 display, 1.7GHz quad-core Snapdragon 600, 4MP rear/2.1MP front cameras, 32GB/64GB non-expandable storage, Android 4.2 (US, to be updated shortly)/Android 4.3 (global edition). 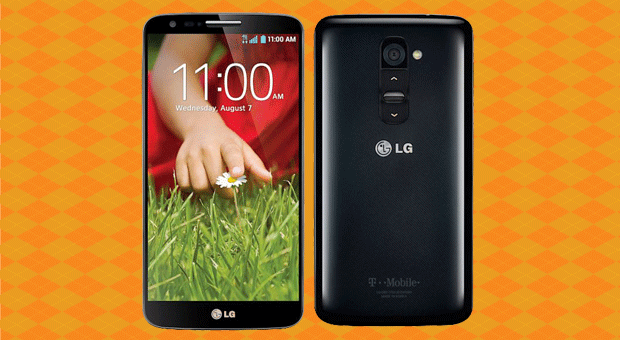 If the LG G2 were an episode of Friends, it'd be known as "The one with buttons on the back." However, those inputs aren't as gimmicky or impractical as you'll think at first sight. In fact, as smartphones get bigger, you'll come to rely on some extra help from your resting hand. In addition to that quirky setup, though, the G2 also offers impressively long battery life, LG's famously good screen technology and supercar levels of engine power. In the end, those rear-facing buttons won't be for everyone, but this is still one of the best Android flagships out there. Bottom line: LG has crafted a super-powerful phone with a long-lasting battery, but it's the unique user-interface features that make it stand out. Key specs: 5.2-inch (1,920 x 1,080) IPS LCD display, 2.26GHz quad-core Snapdragon 800, 13MP rear/2.1MP front cameras, 32GB non-expandable storage, Android 4.2. First, an apology to our international readers: Motorola's Moto X isn't available outside of North America, and there's been no word of any change there. It's a shame, because customization is the name of the game here, and the innovative plan that lets customers pick their phone colors (and even select a wood finish) is just begging for a wider rollout. It may not be the most powerful of devices, but Google has worked hard to ensure it has added value, including the fact that it'll activate when you say "OK Google" and has the nattiest of Google's software features built in. Bottom line: Rather than cramming in ultra-fast internals, Motorola's tried to make the phone especially intuitive to use, with Active Display and touchless controls. Oh, and it's assembled in the USA, which might tug at your patriotic heartstrings. Key specs: 4.7-inch (1,280 x 720) AMOLED display, 1.7GHz dual-core Qualcomm MSM8960 Pro, 10MP rear/2MP front cameras, 16GB or 32GB internal storage Android 4.2.2 (upgradeable to 4.4 KitKat). When Samsung presented the idea of a smartphone with a display bigger than five inches, we were more than a little skeptical. The Galaxy Note's surprise success, however, has forged a trend where colossal devices that won't fit easily into your pocket are now the rule, not the exception. 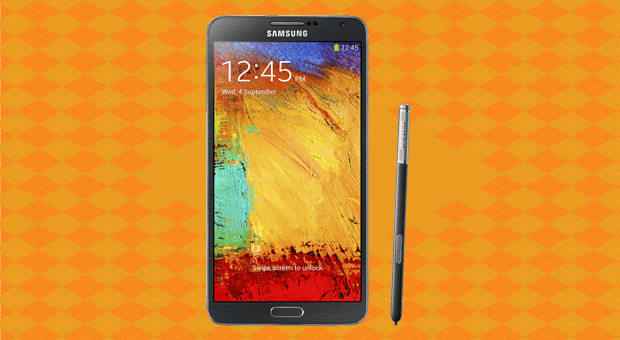 For the Galaxy Note 3, Samsung took everything we saw (and loved) on the previous devices and turned them up to 11. Instead of mildly useful note-taking, the company has ensured that the S Pen stylus now serves some actual use. It also offers whip-smart performance and a battery that'll last close to two days with normal usage. The only downside is that you'll still look a bit silly using one as a phone, but let's be honest: Who uses their smartphones to make calls anymore, eh? Bottom line: The third-generation Note is an improvement over its predecessors thanks to a more useful stylus and a longer-lasting battery. Key specs: 5.7-inch (1,920 x 1,080) Super AMOLED display, 2.3GHz quad-core Snapdragon 800, 13MP rear/2MP front cameras, 16GB/32GB/64GB expandable storage, Android 4.3. When Google picked LG to produce the Nexus 4, heads and eyebrows were raised, but when it launched, no one could doubt that the duo had pulled off something special. For the Nexus 5, Google raised the price to $350, but for a little extra cash, you're getting one of the finest flagships for a mid-range price. Since it's a Nexus device, users are entitled to get the latest and greatest version of Android whenever it's out, and despite the low price, you're getting speedy internals and good-quality hardware. Just be prepared for some weak battery life and poor roaming options. Otherwise, if you've got that sort of money lying around, buy it contract-free, with just a prepaid SIM plan. Your wallet will thank you for it. 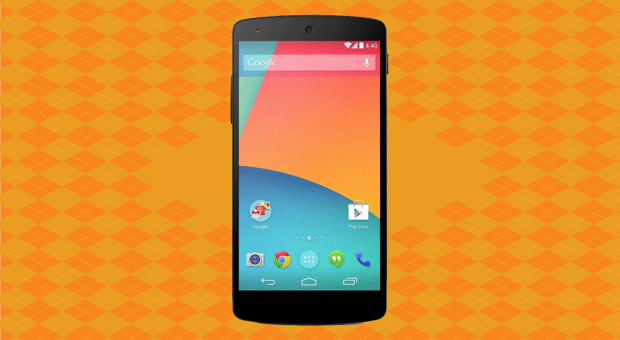 Bottom line: We're baffled as to why more people don't just buy Nexus phones over all others. 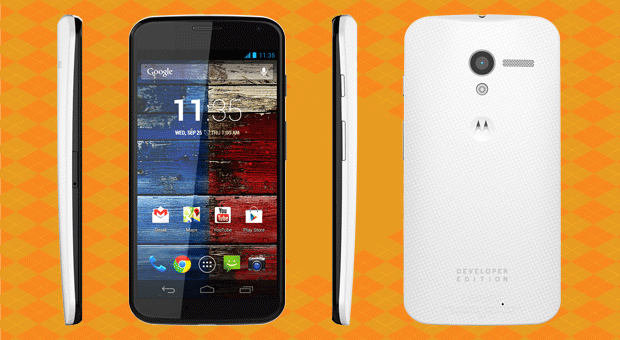 After all, you're getting a flagship smartphone for $350. Key specs: 4.95-inch (1,920 x 1,080) IPS LCD display, 2.26GHz quad-core Snapdragon 800, 8MP rear/1.3MP front cameras, 16GB/32GB non-expandable storage, Android 4.4. 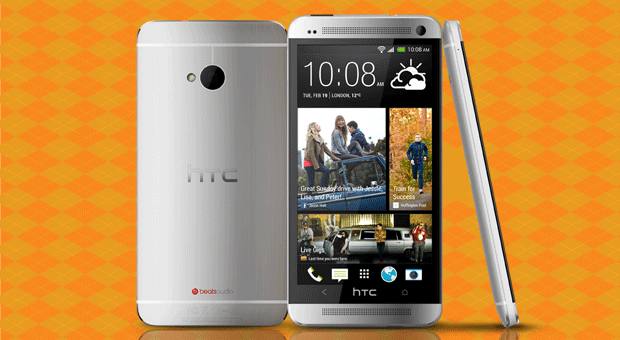 It is what it sounds like: The HTC One mini looks like the popular HTC One, except it's shrunken down, and without some of the premium features. Oh, and it's priced a little lower, too. On the upside, you're still getting the great design and BoomSound speakers, but features like NFC and IR remote capabilities have been sacrificed to keep the cost down. If, however, you're not particularly fussed about those bells and whistles, or if you always wished the One were more pocketable, then you should be pleased with the mini. Bottom line: You'll lose some of the features that make the HTC One so desirable, but it's a stylish option for people who crave a smaller device. Key specs: 4.3-inch (1,280 x 720) display, 1.4GHz dual-core Snapdragon 400, 4MP rear/1.6MP front cameras, 16GB expandable storage, Android 4.2.2. When Nokia announced the "experimental" 808 PureView, it set the hearts of gadget fiends afire. The device came with a 41-megapixel sensor and some clever number-crunching that gave your photos much greater depth and clarity. Best of all, you could even zoom into them to a much greater level, finally bringing a CSI-style "enhance" to your images. The common consensus was that as soon as Nokia could put that 41-megapixel sensor onto a regular Windows Phone device, people would start paying attention to the platform. Well, that phone has arrived: The Lumia 1020 combines staggering imaging technology with Windows Phone's user-friendly interface. Moreover, now that Microsoft and Nokia are plugging the gaps in Windows Phone's app catalog, a flagship like the 1020 is more appealing than ever. Bottom line: If you want to take amazing images with a smartphone, this is the device you need. Key specs: 4.5-inch WXGA (1,280 x 768) PureMotion HD+ AMOLED display, 1.5GHz dual-core Snapdragon S4 Plus, 41MP rear/1.2MP front cameras, 32GB non-expandable storage, Windows Phone 8. A handset that exists in the corridor of uncertainty between a phone and a tablet, Nokia's Lumia 1520 is the company's first attempt at a 6-inch device to rival the Galaxy Note. With the first 1080p display on any Windows Phone device, as well as a Snapdragon 800 processor, the 1520 has lots to love. That display is also beautiful, and it's paired with a 20-megapixel PureView module that puts most other phone cameras to shame. Bottom line: It's too early to tell if Windows Phone 8 will flourish on a massive device that sits between a fully fledged tablet and a smartphone, but nonetheless, this stands as the best Windows Phone device we've ever seen. Key specs: 6-inch (1,920 x 1,080) IPS LCD display, 2.2GHz Snapdragon 800, 20MP rear/1.2MP front cameras, 16GB or 32GB (AT&T and the global model, respectively), Windows Phone 8. 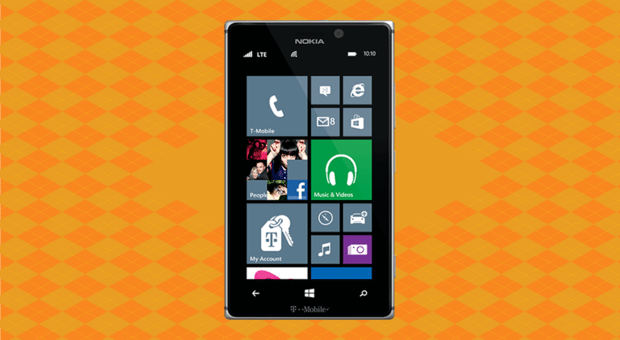 If you wanted to sum up the Nokia Lumia 925 and the CDMA-specific 928 in a single word, it'd be "restraint." Unlike any other Lumias, the 925 is clad in an aluminum body that's significantly lighter and more comfortable than its immediate predecessor. If there's one big plus to owning the 925, it's that you'll enjoy exceptional low-light photography without a hefty price tag, so if you take lots of pictures in darkened rooms, then this is a slam dunk. Otherwise, not much else has changed, but considering the sheer quality of the phone you're getting, $99 on-contract is an absolute steal. 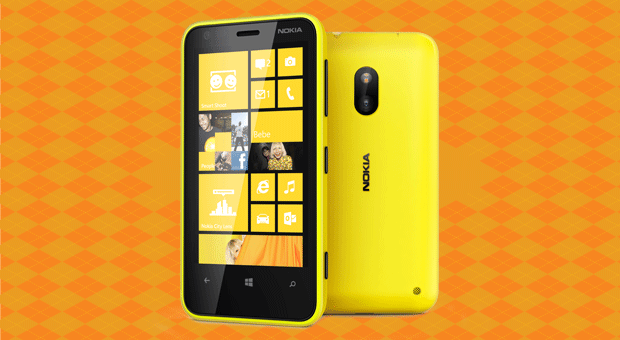 Bottom line: With an exceptional camera and solid, austere body, the Lumia 925 (and 928) is one refined-looking handset. Key specs: 4.5-inch WXGA (1,280 x 768) PureMotion HD+ AMOLED display, 1.5GHz dual-core Snapdragon S4 Plus, 8.7MP rear/1.2MP front cameras, 16GB or 32GB non-expandable storage, Windows Phone 8. One of the great things to emerge from Nokia and Microsoft's partnership is that both know how to create a good-looking budget device. In fact, when we reviewed the 620, we said that it was precisely what an entry-level smartphone should be. Why? Because Windows Phone 8 is tailor-made for low-power (and low-cost) devices, and Nokia's always known how to produce fantastic smartphones at aggressive price points. Of course, there are a few downsides, namely that there's no LTE, and that it's only available on AT&T's AIO Wireless brand in the US. Still, for $100, it remains a good deal. 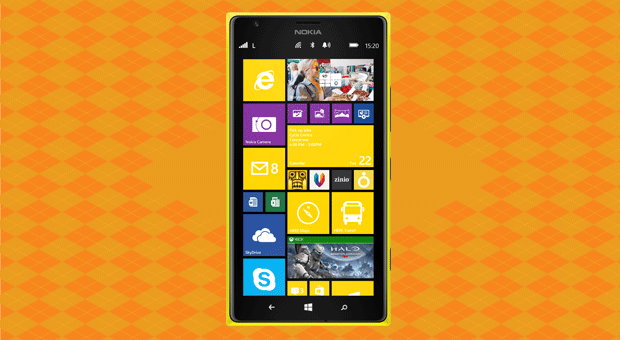 Bottom Line: It's cheap, well-built and it's a Lumia, so it should last forever. Interchangeable covers will appease those with colorful tastes, while the solid performance and low cost should appeal to everyone else. Key specs: 3.8-inch (800 x 400) IPS LCD, 1GHz dual-core Snapdragon S4 Plus, 5MP rear/0.3MP front cameras, 8GB expandable storage, Windows Phone 8. Thanks to the Z30's 5-inch display, BlackBerry 10 suddenly feels much more comfortable than on the cramped Z10, and while it's still less than a year old, the operating system at least feels mature now. Then there's the battery, which lasts more than a full day with intermittent usage and nearly 13 hours with nonstop use. Of course, if you do buy one, you'll have to ignore the current corporate drama, as well as BlackBerry's weak app selection. 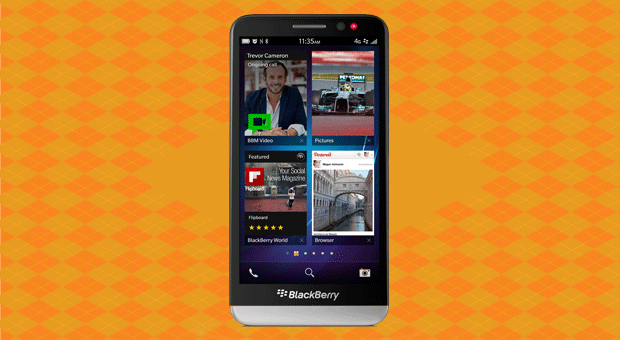 That said, if you're dead-set on a touchscreen BlackBerry, this is the one we'd recommend. Bottom line: We doubt BlackBerry virgins will find anything that would convince them to buy this device, but enthusiasts will find plenty to like. The bigger display and better internals make for a more comfortable experience, but beware that the usual BlackBerry issues remain. Key specs: 5-inch (1,280 x 720) Super AMOLED display, dual-core 1.7 GHz Qualcomm MSM8960T Pro, 8MP rear/2MP front cameras, 16GB expandable storage, BlackBerry OS 10.2. There are two groups devoted to BlackBerry: those who are preoccupied with security and those for whom only a real QWERTY keyboard will do. 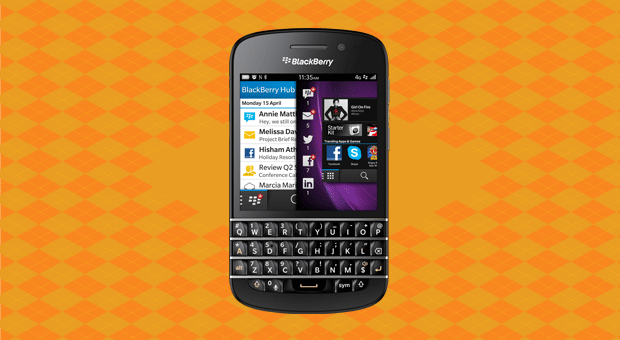 The Q10 is the only BlackBerry 10 device with a keyboard that's worth getting. Combining BlackBerry 10's beefy operating system with smooth, but imperfect performance, the real star of the show here is that comfortable and easy-to-use QWERTY layout. If you're eyeing the Q5, we'd suggest saving up a little more cash and going for its bigger brother; you'll get a significantly better handset for the money. Bottom line: In a world where the physical keyboard is an endangered species, the Q10 is the only place you can turn to, so be glad that it's got the best of the old Bolds with a modern spin. Key specs: 3.1-inch (720 x 720) Super AMOLED display, 1.5GHz dual-core Snapdragon MSM8960, 8MP rear/2MP front cameras, 16GB expandable storage, BlackBerry OS 10.